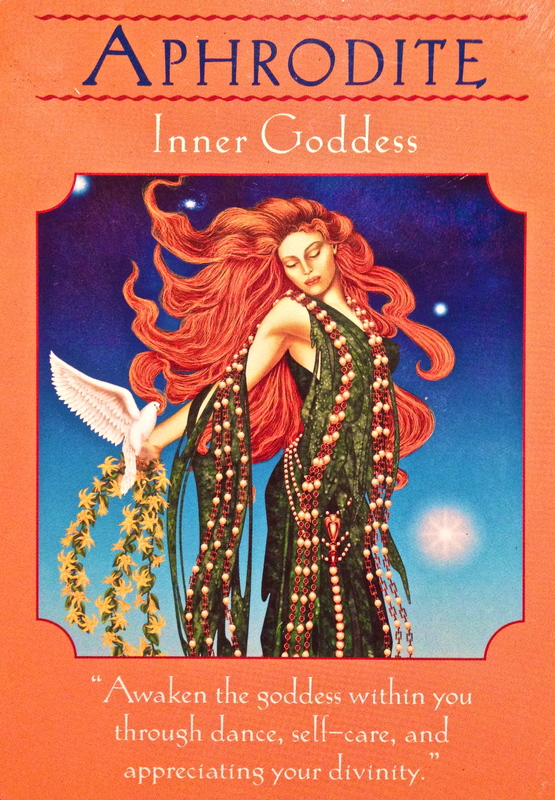 Various Meanings Of This Card: Balance your male energy with more female energy. Take steps to heal your sexuality. Enjoy being feminine. Dance more often. Be receptive. In relationships, allow your softer side to come forward. Do not hide your femininity (dress in a more feminine way, for example). We can channel the energy of the beautiful and all encompassing female goddess Aphrodite for today’s celebration of Summer Solstice, the longest day of the year. Today is the day to send gratitude to the Sun, for providing us with the light which produces life energy for our beautiful mother Gaia and her inhabitants. They work in perfect synergy, providing everything needed for every living being on this planet. The Sun even provides the light on our moon, thus taking a role as a most powerful God in many ancient cultures, such as Ra in ancient Egypt. This is a celebration of freedom and abundance. It is knowing that everything will be provided and we can breathe in the warmth surrounding us. It is the perfect day to rise with the sun and celebrate by firelight after it has set. It is a time of passion and love, of crops coming to fruition and of tuning in to our primal ancestry. Even if you do not have the urge to greet the Sun at 4am or dance around a sacred fire, you can still turn your face and palms to the sky in silent gratitude, and allow the energy of the Sun to revive your Soul. Orange crystals and stones are great to work with at this time, wearing, meditating with or having a carnelian will help to balance your Sacral Chakra and help you to connect with your passion and creativity. Wearing orange, eating orange fruits and veggies and adding a little cayenne spice for some kick will also get that inner fire burning.